Cirque du Soleil is offering a deal for Florida residents to see the La Nouba show at Downtown Disney. Form January 20 through to March 28 2015, Florida residents can purchase Category 3 seating for $49 +tax, Category 2 seating for $69 +tax and Category 1 seating for $89 +tax. The Magic Kingdom's Liberty Tree Tavern restaurant will be closing for an extended period in the latter half of 2015. The closure begins on July 6 and runs through to November 20 2015. The Walt Disney World Resort Monorail System will be operating revised routes on both the Resort and Express beams over the next few months. The following changes will be in operation February 3 - 5, February 9 - 12, February 23 - 26, March 2 - 5 2015, between the hours of 11:00 AM and 7:00 PM. Monorails on the Resort beam will stop at Magic Kingdom, Disney's Polynesian Village Resort and Disney's Grand Floridian Resort only. Monorails on the Express beam will stop at the Magic Kingdom, Transportation and Ticket Center and Disney's Contemporary Resort. The above changes mean that resort beam guests who wish to get to Epcot will have to first get to the TTC by using the Express beam, and then change to the Epcot beam. Alternatively, direct buses will serve the resorts for travel to Epcot. Breakfast at Whispering Canyon Cafe will be relocated to Artist Point next week as work takes place on the Wilderness Lodge Lobby. continue to be served in Whispering Canyon as normal. Disney has announced the performer line-up for the 2015 Night of Joy concerts, taking place this year on September 11 and September 12 2015. It will be the 33rd year of Night of Joy, and tickets for the Magic Kingdom event will begin later in the Spring. Until then, here is the performer line-up. guests waiting in the standby line a greatly improved experience. Peter Pan’s Flight is well known for its long wait times, and now Disney Imagineers have made some huge upgrades to the queue to help make those waits more entertaining. Not only is much of the queue now in fully enclosed indoor space, it also features a walk-through of the Darling children’s home and into their nursery. Tinker Bell and Peter pay a visit, and guests even get a sprinkling of pixie dust before leaving the new queue to board the ride. 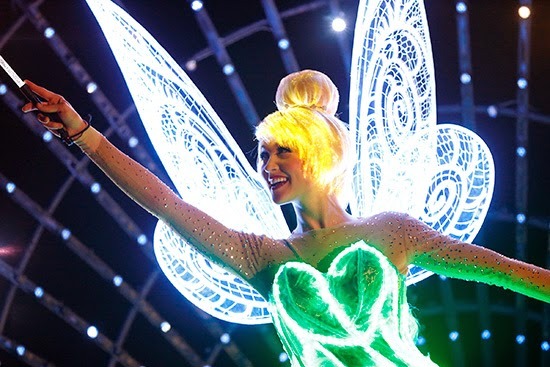 Some of the effects are achieved through projection mapping, giving Tink the ability to fly through the nursery, and even interacting with and moving physical objects. An interactive section of the queue gives guests a chance to play with virtual objects with their own shadow. A few of the outdoor areas of the queue remain, both before the new indoor queue, and after. On most days, that outdoor queue space won’t be in use, but on busy days, expect to still hit the outside switchbacks. The newly expanded indoor queue space comes from the area gained by closing the restrooms near Pan, which were relocated to the new Tangled area a few years ago. Check out the video from WDWMagic! 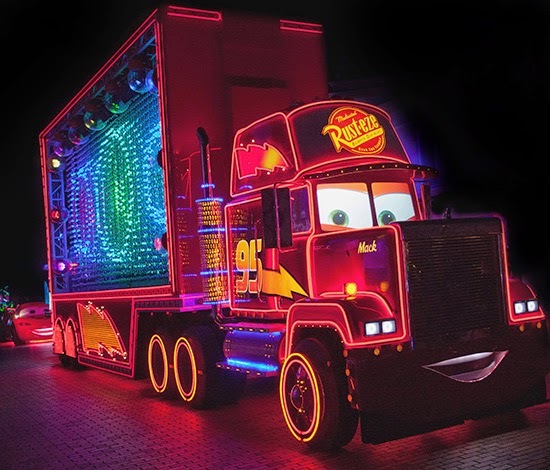 On the west coast, preparations are being made to celebrate Disneyland’s 60th, or “Diamond” anniversary. As part of the celebration, the iconic Sleeping Beauty Castle in Disneyland park and Carthay Circle Theatre in Disney California Adventure park will glisten and gleam, each with its own diamond medallion featuring the letter “D.” The entire resort will sparkle with Disneyland Resort Diamond Celebration décor and festive banners in shades of Disneyland blue. 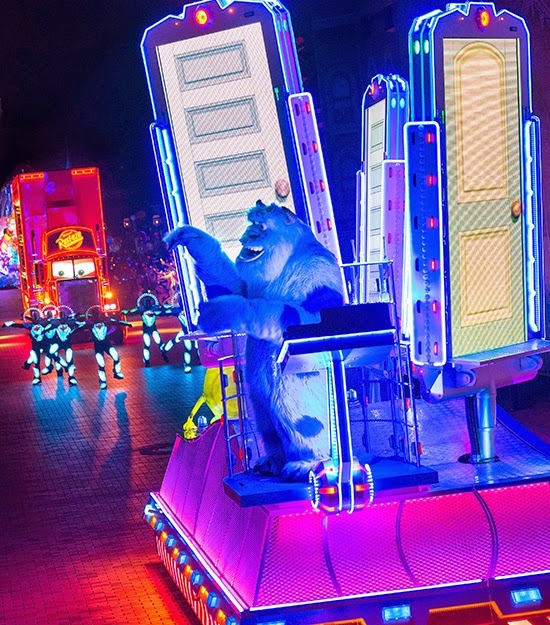 Disneyland’s parades and nighttime entertainment will also be getting polished up for the celebration. 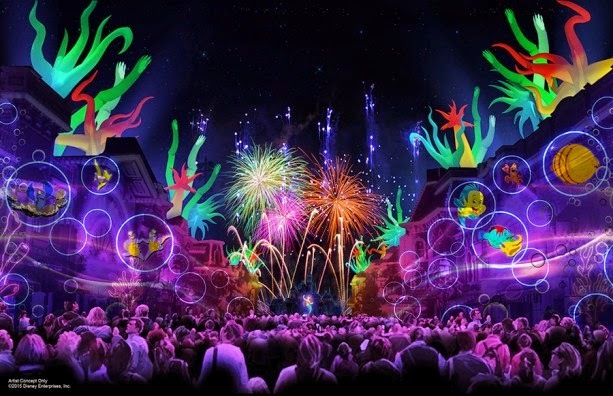 And finally, Disneyland’ fireworks will be getting a refresh called “Disneyland Forever”.